Simmons, Dan. The Fifth Heart. New York: Hatchette, 2015. So, when I learned via Facebook that Simmons had written a novel featuring Sherlock Holmes, I ran to the bookstore, bought it in hardback… and then proceeded to wait for nearly six weeks to read it, because, let’s face it, my usual reading venues of violin lessons and taekwondo practice are not ideal for what I hoped would be a remarkable experience. And you know? It was. The Fifth Heart begins in 1893, in Paris, with author Henry James (of A Portrait of a Lady, Daisy Miller, and The Bostonians fame), heading for the Pont Neuf, his sister Alice’s ashes in his pocket, prepared to jump off the bridge and end his life on the cusp of his 50th birthday. Why? The omniscient narrator is (strangely) not sure. James has had, and will have, episodes of serious depression, but none (that we know of) that particular year. The narrator throws out some possibilities–poor sales, middle-aged angst, his sister’s death–but we are left with the distinct impression that James is set to kill himself just because it fits the narrative…an authorial decision which ties directly into the book’s underlying theme. Because, you see, The Fifth Heart is, like Drood, both a suspense novel, and, underneath, a meditation, this time on the nature of identity–but more on that later. James is not alone on the Pont Neuf. There is another man there with him, hidden in the shadows, but contemplating the very same escape. Instead, Sherlock Holmes saves Henry James by yanking him away from the river’s edge; Henry James saves Sherlock Holmes by recognizing him. The fact that he cannot find 221B, Baker Street, on City Surveyor maps. James makes the quite reasonable observation that this is probably due to the drugs. Holmes counters that he has exchanged his seven per-cent solution for morphine, and intends to change that out for a new, supposedly safer “heroic” drug. None of this, frankly, leads us to question his companion’s suggestion. Still, what are the odds that a famous author should be saved from suicide by an equally famous detective who just happened to be in the area? You know what he would say…. Exactly. and so it should come as no surprise to the reader when Sherlock Holmes informs Henry James that he will be accompanying “Sigerson” to America. The detective gives his bewildered new friend a list of “reasons” why, such as “you will enjoy this!”, but the reality is that Holmes is traveling to the States for more than a supply of still-experimental heroin. 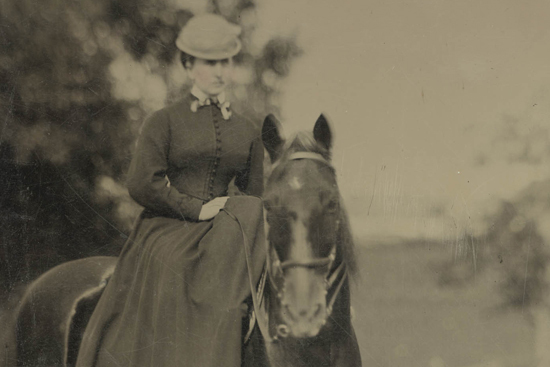 The Five Hearts–John and Clara Hay, Henry and Clover Adams and Clarence King–became close friends in the winter of 1880-188, spending many evenings together immersed in conversation and conviviality. 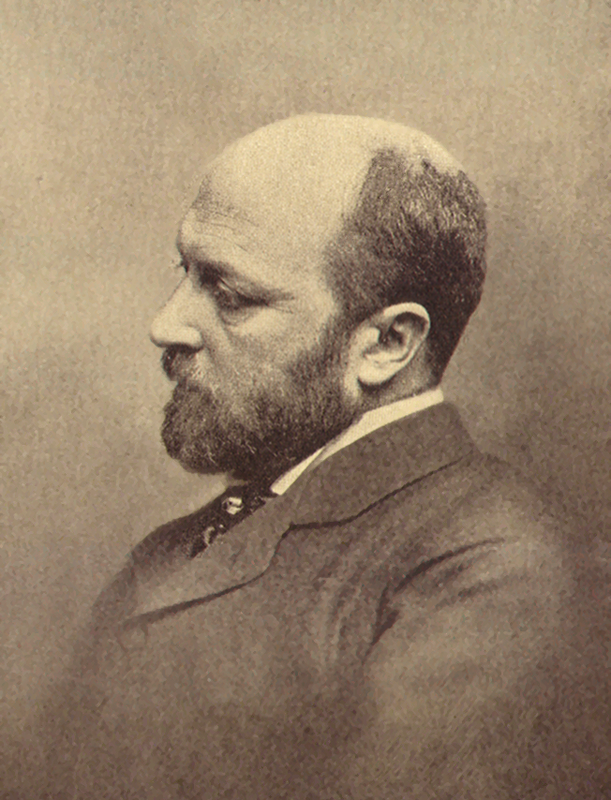 Although Henry James was not one of them, he had become very friendly with the Adamses while they were in London, and good friends with the Hays as well. Sherlock Holmes hopes, therefore, that his new friend will be able to gain him–er, Sigerson–entrance into their circle so that he can determine, once and for all, if Clover killed herself by drinking a solution of potassium cyanide–or if she was murdered. Holmes has another mission, too, this one set by his brother, the British Government. Over the past several years, Mycroft Holmes has begun to discern the threads of a conspiracy tying together such events as Chicago’s Haymarket Massacre, a hitherto unknown assassination plot against Queen Victoria, and numerous politically motivated murders and anarchistic violence around the world.†† Now that his younger brother has quite conveniently “died,” he has plenty of time to trace these threads to their source. Between tracing malevolent assassins, solving a seven year-old murder, experiencing heroin and determining once and for all if he is real, Sherlock Holmes’s American April will prove more fateful than either he or Henry James can imagine. Fans of historical fiction, particularly if they have an affinity for a particular era, tend to be very knowledgeable, very observant, and very…vocal when they discover an anachronism. Fans of Sherlock Holmes also tend to be just as knowledgeable and observant–and probably even more vocal when it comes to a canonical error. What readers of both persuasions need to realize at the outset is that Simmons’s historical novels are always an amalgam of truth and shameless AU (alternative universe). Although he doesn’t do it egregiously, he has no problem altering the occasional historical fact to suit his story, and you can be sure that in The Fifth Heart, some widely-accepted aspects of the Canon have received the same treatment. For some of you, this will be an automatic deal breaker, and that’s fine. For those of you who have no problem with some creative deviance, however, the question is: how believable is Simmons’ universe? Front of the Adams Memorial, Rock Creek Cemetery, Washington, D.C. The depiction of Clarence King’s domestic situation is accurate. Although Clover Adams had a friend named Rebecca Dodge, Rebecca Lorne and her son are fictional. Mrs. Adams visited Lizzie Cameron alone. 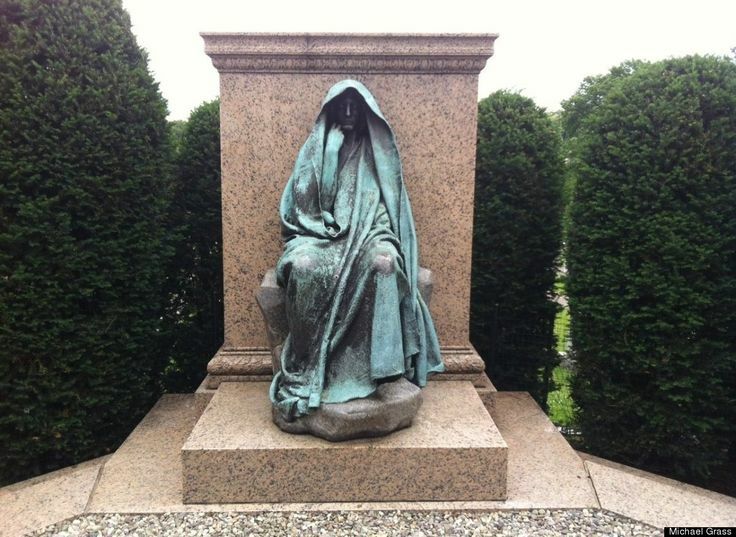 The monument Henry Adams had commissioned for his wife’s grave exists, but is not completely as described. Unfortunately. Ned Hooper died in the manner described–but in June, 1901, rather than the spring of 1893. “Paha Sapa” is a fictional character, one of Simmons’ own, who first appears in his novel, The Black Hills. I did not realize this at first. Once I did, and actually read that novel (very quickly), The Fifth Heart gained some resonance that I had missed when I did not know his significance. Various racial attitudes were as depicted. Sherlock Holmes did not solve a domestic problem for Clara Hay (who won my heart as a middle-aged fangirl), but one wishes he (or someone) had. There was no assassination attempt on Queen Victoria in 1887; nor was there one against “Queen Elizabeth,” as Jaime Mahoney of the “Better Holmes and Gardens” blog pointed out–but that last is likely an editorial failure. While Simmons’ exacting research is one of The Fifth Heart’s strengths, however, it is also its greatest weakness. 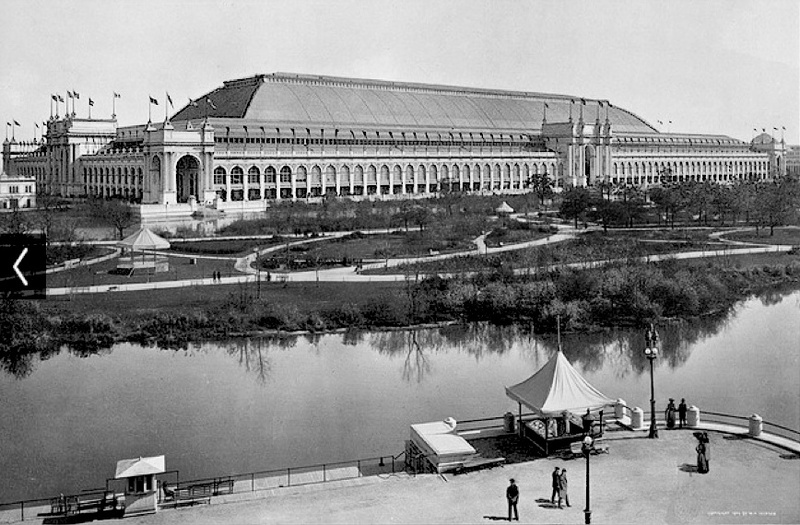 While in most cases, historical fact is woven fairly seamlessly into fictional narrative, Simmons occasionally indulges in “info dumps”–the characters’ walk through the Columbian Exposition being the most obvious example, and the menu for the Hays’ dinner party being another (although the fact that a fairly small dinner party called for a printed menu might give the reader an idea of the complexities of polite Washingtonian society). That’s all well and good, madam, but what does he say about me? When it comes to the Canon, Simmons treats the traditions of Sherlockiana like a cafeteria, taking what suits his purposes and discarding the rest, but not without the occasional acknowledgement of commonly held beliefs. His Holmes, for example, is born and raised around Whitechapel, and spends some of his youth in rural Yorkshire poverty; Baring-Gould’s and other biographies are alluded to, but summarily dismissed. The detective’s birthday falls on 4 April, and not 6 January. 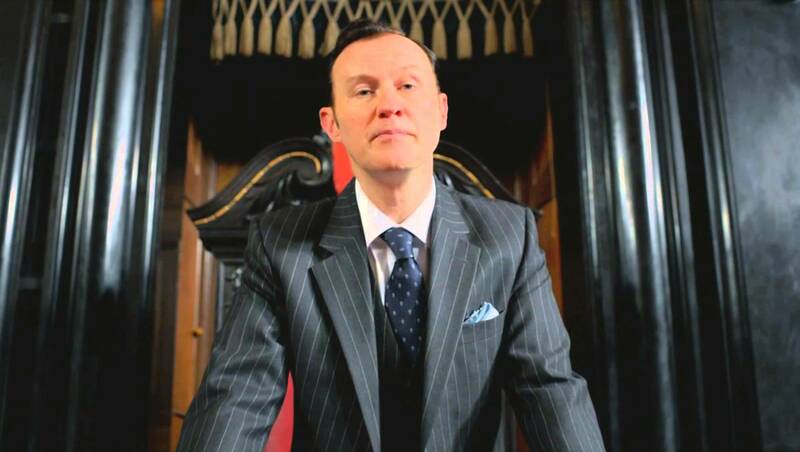 Mycroft is an agoraphobe (which makes a certain amount of sense). Fans of Violet Hunter and “The Adventure of the Copper Beeches” may be displeased by the wide disparity between Watson’s account and what Holmes reveals as the much darker (but more realistic) truth. Irene Adler aficionados will be happy to know that she makes an appearance, although, again, they might not be pleased with Simmons’ version, who resembles Rachel MacAdams’ character in the the Guy Ritchie films more than she does the canonical opera singer. 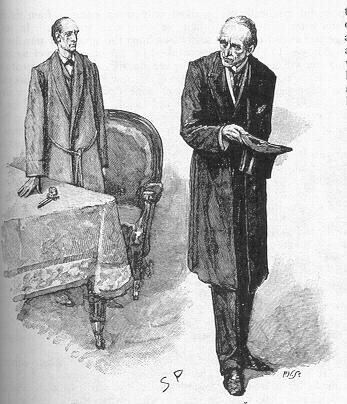 Moriarty appears, or re-appears, and while he is creepily reptilian, he does not “oscillate.” Perhaps the most disappointed readers, however, will be those looking for evidence of the great friendship between Holmes and his Boswell. Be warned: Dr. Watson is mentioned, but never appears–and when Holmes speaks of him, it tends to be with some faint irritation, much as one gets from the Rathbone/Bruce films. Sherlock Holmes misses London; he misses the rooms at 221B. But, although he does feel vaguely wistful at one point, it has nothing to do with John H. Watson, M.D. I will admit that I like my Sherlockian fiction to hew a little more closely to canon and commonly accepted “fanon,” like the January birthday. That being said, nothing Simmons has done with Holmes in this book is without purpose (except, for perhaps, the birthday bit), and it all meshes together to create a coherent universe. Holmes himself is recognizable and a bit on the Rathbone side. The “hidden fires” are not as evident as they have been in recent film versions; he is much more a thinking machine, slightly self-absorbed, who, even when beset with existential questions, will do whatever is necessary to do what is required. I mentioned at the beginning of this review that Sherlock Holmes is not solely concerned with solving Clover Adams’ murder, or with stopping an anarchist plot; he’s also very concerned about whether or not he actually exists. As with our own angsty, metaphysical questions, the detective’s are frequently buried under the demands of his career and daily life, or (with one striking exception) muted with drugs, but he finally finds his answer–or at least the best one he, or any of us, is likely to get. So, you ask, is Sherlock Holmes real? Is this how he spent part of the Great Hiatus? Has Henry James fallen down some rabbit hole, or dreamed it all in a delirium brought on by a bath in the Seine? Does “The End” appear on page 617 in Sir Arthur’s unmistakable hand? It took me a few days of rolling the book around in my head, but I think I have something figured out. 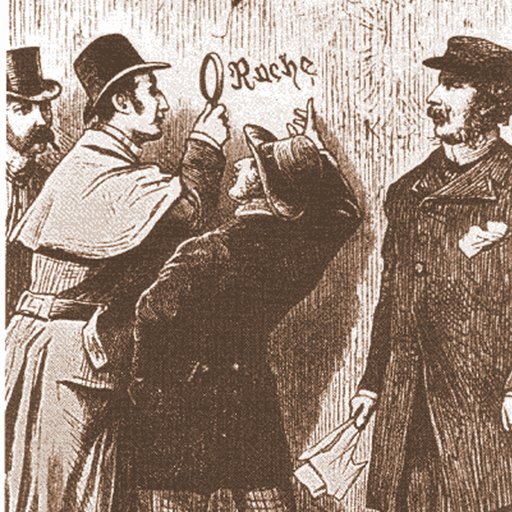 Explaining it would prove spoilery, however, so read the paragraphs below the “Rache” illustration at your own risk–but whichever you choose, do read The Fifth Heart: it may be the best Sherlock Holmes novel you’ll read all year. The Fifth Heart is available in both hardback and ebook formats, but is not yet available in paperback. Dan Simmons can be found on his website, http://www.dansimmons.com, where he has a forum, and on Facebook. Canon Rating: 3 out of 5: Sticklers may be highly irritated. *I know, I know, but sometimes one must cleanse the palate, as it were. **I know what he says in On Writing, but when does Stephen King have time to read, I ask you? ***Beginning in 1891, so that checks out. †We would expect nothing less. Quotes are from The Fifth Heart, pp. 22 and 23. †† There were seven attempts on the Queen’s life from 1840 until 1882. The one mentioned by Holmes in this book was thwarted in 1887 (The Fifth Heart, p. 173). In The Fifth Heart, both Sherlock Holmes and Henry James have reached points in their lives where they have come to question their identities. 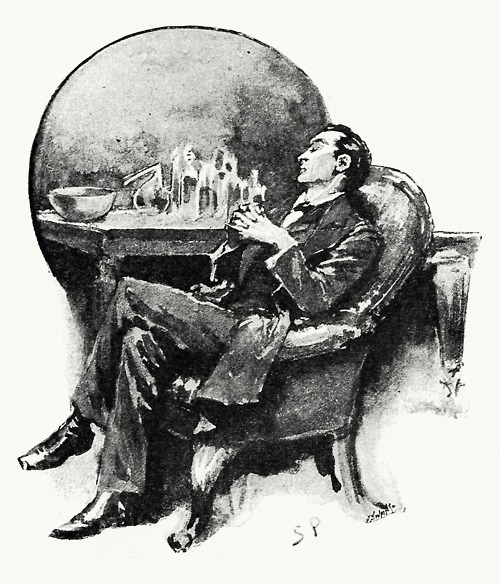 For Sherlock Holmes, the question is elemental: is he, in fact, a real man, or a popular fictional character whose exploits appear in The Strand Magazine? James, on the other hand, knows that he is real but, as he is about to turn fifty, is experiencing doubts about the choices he’s made, particularly those involving his faltering career and the romantic life which he, like Holmes, eschewed in favor of his Work. With Holmes, James, like a certain Dr. Watson, becomes a writer/adventurer, and experiences adrenaline rushes the like of which he has never even dreamed (seriously, not much adrenaline in a James novel), and which make him feel unbelievably alive– alive in the same way his British counterpoint did, and will again someday. But, as James never tires of reminding Holmes, he is no Boswell, and he’s no John Watson–but neither is he content any longer to be simply the observer–“the tame cat he always longed to be,” living in the shadow of his dominant brother William. At 50, Henry James isn’t ready to fade away just yet. “It is what I do,” said Holmes after the briefest of pauses. Holmes said nothing to this. “Are you satisfied with the way Dr. Watson and Mr. Doyle present your adventures?” pressed Clemens. “But you enjoy being a detective?” Clemens asked again. Sherlock Holmes has, perhaps more than most people, consciously shaped himself into the ultimate consulting detective–as close to a purely logical, totally disciplined (except for the drugs) human being as it is possible to be. 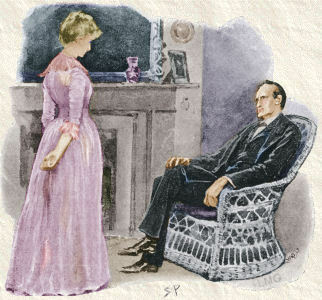 Like James, he has forgone many other selves to devote himself to his work, but while James has friends and relationships which, while occasionally difficult, make him feel a cared-for participant in life, Sherlock Holmes wonders if all he really is is the thinking machine with the pipe and the (nonexistent) deerstalker–and if that is all he will ever be. It is very tempting at this point to tell you what Sherlock Holmes learns, what he discovers, how his real, human self tries to escape the cage of words around him, how he is forced–or forces himself–to become more real than most of us will ever want to be, and how he makes his peace with the deerstalker. I do plan on going back and finishing this book at some point. In the meantime, I read one where Henry James & siblings investigate the Whitechapel case.